Make the change you wish to see. 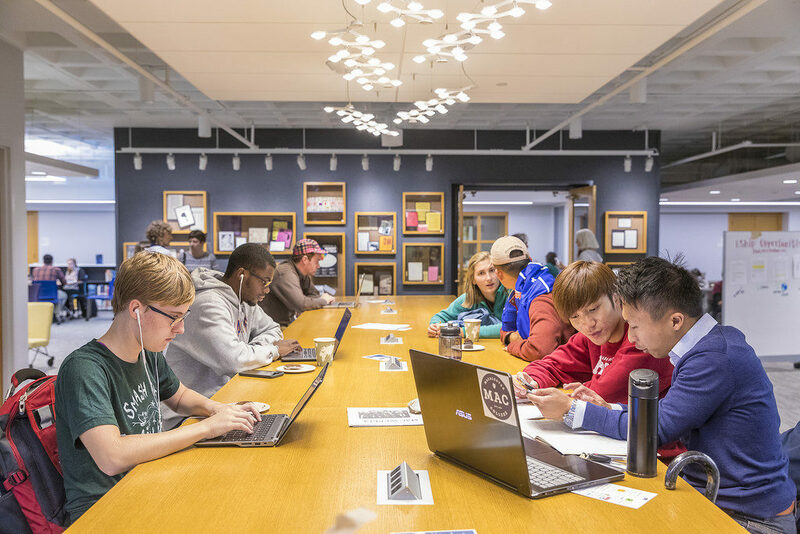 The 2nd floor of the library is a space for makers, dreamers, and the hopeful among us who want to solve the wicked problems that plague our world. 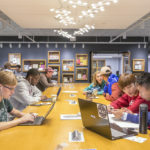 It is a community-oriented workspace designed to encourage collaboration by giving everyone the tools and support they need to realize their ideas. Come share a skill or learn something new. This is a place where we learn from one another and mentor each other. 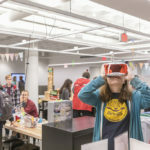 Where hands-on creating meets problems, where ideas meet curiosity, and where we can play. 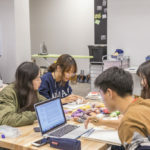 Come tinker with 3D printers, vinyl cutters, iMacs loaded with design software, wacom tablets, sewing machines, spinning wheels, art supplies, and a wealth of salvaged, recycled resources – all for use in your projects, inventions, creations, and explorations. And more new and interesting things show up in the space every day. 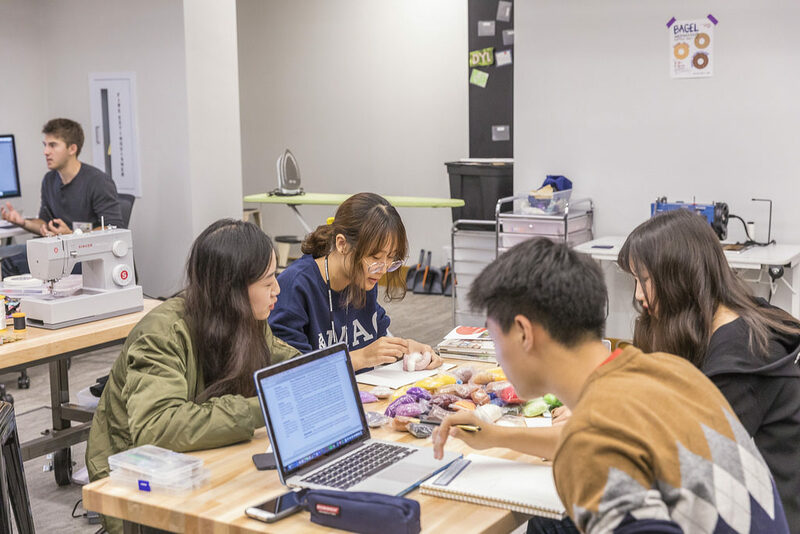 Stop by to design and prototype a functional model, use the workspace to bring in your own class or personal projects, meet new people, or just de-stress. Experiment, fail and build the world you want to see. And for students unfamiliar with the technology or equipment, the best way to start a project is to stop by during our support hours and talk to one of our student staff who want to help you and for you to help them. 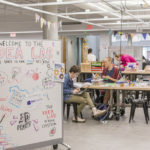 INTERESTED IN HOSTING AN EVENT IN THE IDEA LAB? 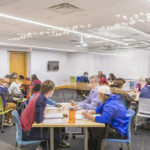 Idea Lab student workers planning on hosting an event or workshop should fill out this Google Form. 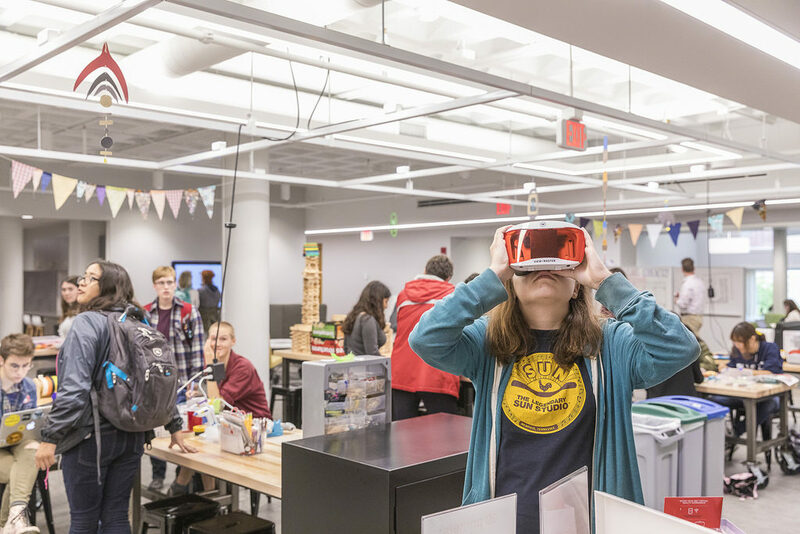 Students interested in hosting an event or workshop in the Idea Lab should fill out this Google Form. 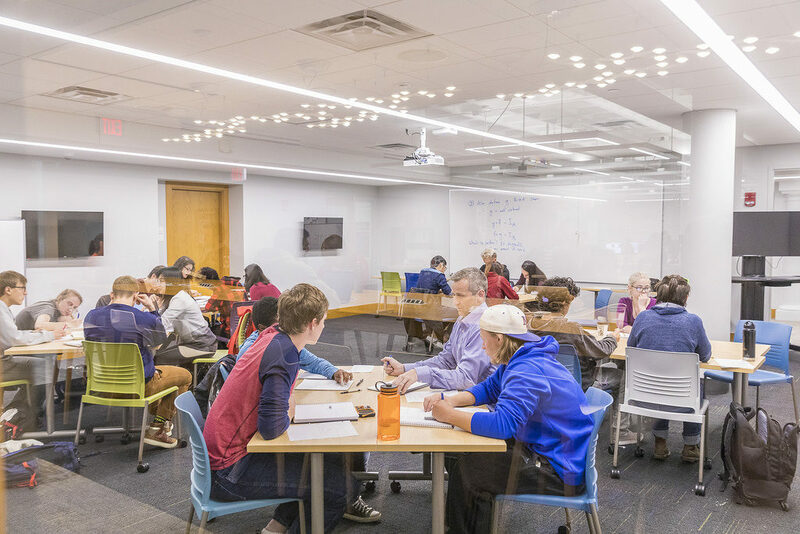 Faculty, staff, or community members looking to bring a class to the Idea Lab should email Jody Emmings at jemmings@macalester.edu. HAVE A QUESTION? 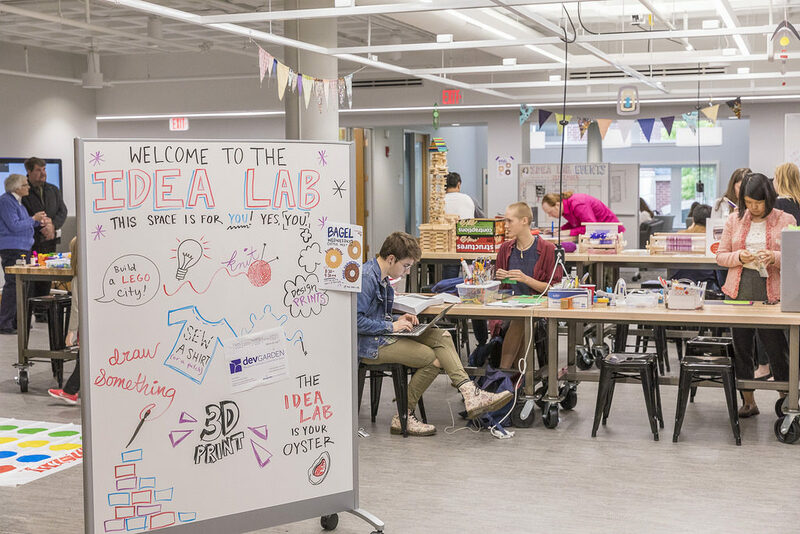 WANT TO LEARN MORE ABOUT THE IDEA LAB?